It finally happened. 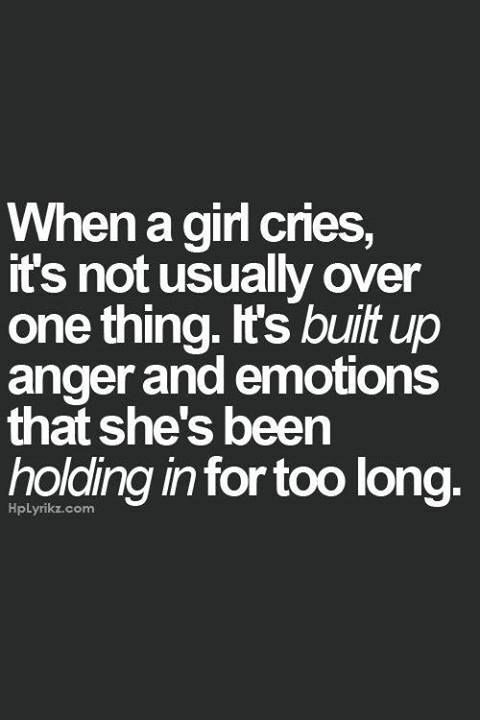 I didn’t mean to let it out, I just finally broke. I’m not proud of my behavior by any means, but there just comes a point when life beats you down over and over, with big things and little things, until it take one thing to just make everything you’ve worked so hard for to feel like it’s all tumbling down around you. It started with hardly any sleep this week. I was behind in school and trying to catch up before midterms next week. I stayed up too late, too many nights in a row. Still trying to get back into work is exhausting all on its own. I worked on Monday and Tuesday, then therapy on Tuesday, testing at the hospital Wednesday and Thursday, meeting with my lawyer on my appeal Thursday as well (which I attempted to finish on Sunday, but finally gave in when 8 hours later I was in tears and nowhere close to being done), and back to work today, starting the cycle all over again. So much to do, still no time, and still feeling so awful. Testing was stressful and uncomfortable, and yet again, I don’t think my tests will show anything, but I can’t confirm that for sure until the doctor reviews all the imaging. Woke up again this morning with a radiation burn across my nose and cheeks. For some reason, after the last four or five tests that involved radiation or nuclear medicine, I wake up the following day with this “rash”. It burns so bad. I can’t put lotion on it, or it becomes greasy and bubbles up some. So I couldn’t wear any makeup to work or to the doctor today. I looked awful, hell I felt awful. But I had to go and do everything I had planned. Second day in a row that someone commented on how awful, sick, and tired I look. Thank you, I’m well aware of how crappy I look today. 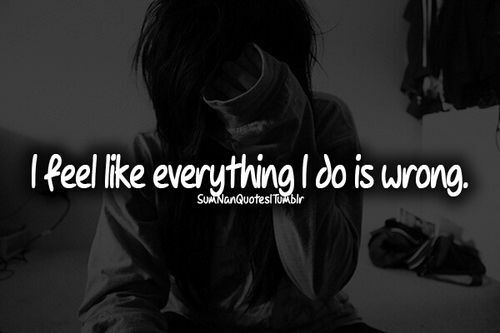 This is how I feel everyday, I just do my best to hide it to make YOU more comfortable. After work, rushed down to try yet another Primary Care Doctor. And yet again, disappointment. The nurse was awful, and while not outright mean or anything, she was not very bright. Couldn’t spell my meds, but again refused to read off my medication and history list. And when she couldn’t find it in the computer system, she admittedly said she wasn’t going to input it to my record. Um, ok. Then the doctor comes in. She doesn’t listen to a word I say, dismisses all my concerns, I have to constantly repeat myself about what doctors and treatment I am currently receiving. I tell her I just want a doctor who can continue my care after my specialists make recommendations or find something with my testing. She looks through a couple pages of my records, tells me it could be depression on multiple occasions. She also tells me I have orthostatic hypertension (which I KNOW, but no doctor will note it), but then proceeds to say that all I need to feel better is to drink more water. The cause of me being sick is that in dehydrated, which is not true at all. All i can do is drink. Also, she has no idea why I would get radiation burns after testing. My lymph nodes are very swollen, but she has no idea why, but she’s certain it can’t possibly be cancer. She wants to run more general blood work, I hand recent copies. So she only wants to run a thyroid check, which they checked at least 15 times in the last five years and all have been normal. My husband came with me, he’s not happy either. She says I should go to a GI doctor… again, I explain I’m currently seeing a GI specialist. She wants me to tell them to run this test or that test. Already had them. She doesn’t listen. She wants to know what my diagnosis is then. I don’t have one, I’m still testing, blah blah blah. She says to schedule in a month or two after I see my GI doc, recommends therapy again, and to come back when I can to run my thyroid test real quick, no appointment necessary. No thanks, I’ll pass. I’ll save you the trouble, it’s normal. She wonder’s why I’m not “skinny” from not eating… Well obviously if I knew, it may explain some of my symptoms, don’t ya think? I’ll just drink more water and take anti-depressants I guess, and then I won’t need you lady. Isn’t that what you said? So back to square one, AGAIN. I’m frustrated, but this feeling has become oh so normal at this point. I contemplate giving it all up. Whats the point? Even if the specialists find something, I have no one to complete my care as a primary. I go upstairs to study. Hours later and I’m still not done reading the last half of this chapter. The dogs keep barking, because my roommate and husband keep coming in and out, and then their friend’s show up. The house is a mess because I haven’t had time to clean, laundry’s not put away… it’s all building inside, I can feel it. I’ve been feeling it slowly coming up for months now. One by one. Day by day. I lose feeling in my hands, which also has not been addressed or noted in my records. My hand is currently purple from the livedo reticularis. I drop my coffee, all over my brand new textbook, which I need to study from and cost over a hundred dollars as I bought it brand new. It’s all over my notes I just spent hours and weeks working on, and it’s splashed on to my computer, which luckily wasn’t worse. I’m not proud of this, but dropping my coffee was the straw that officially broke the camels back. I work so hard each and every day to maintain normalcy, all while spending all my days off in the hospital or doctor’s office. I sacrifice sleep and rest to barely keep up in school and work. Everything else is left in the wind because I can’t possibly do another thing. I am in pain. I can’t eat. My joints hurt. I lose feeling. I faint. I smell things that aren’t there. My lymph nodes are so swollen they hurt to lay my head down. My hair keeps falling out. My stomach hurts. I always fighting the urge to vomit. My body is sore and tired. I feel like I am going to die. And if no one will help me, then I am pretty sure I will. I’ve never been depressed, I’ve always tried keep going. But after all this today, and ruining my book and my notes, I screamed. And then I cried. Hard. So hard, in fact, that I couldn’t breath and hyperventilated. And I threw my book. I just sobbed and sobbed, until I couldn’t stand any longer. Then I cried on the floor. Everyone in the house comes upstairs to see what happened, I probably sounded like I was dying. And here I am crying and yelling on the floor, not my proudest moment. But I felt everything tumbling down, everything I kill myself for each day falling apart. I feel like a failure. I feel like there’s nothing to keep me going anymore. I don’t want to keep pushing. I don’t want this life. It’s not making me stronger. Today it make me feel the lowest I have ever felt. It made me want to quit life. I can’t remember the last time I smiled and it wasn’t fake. I can’t remember a time my mind was at peace, and I wasn’t scared, or worried, or anxious, or sick, or tired. My friend cleaned up my books for me, let me yell and scream and get it all out. Everyone is always telling me to stay positive, don’t be so negative, don’t this, don’t that…. or do this, do that. I’m so alone in this journey in my day to day life. I have tons of people who support my journey, but no one who feels it day to day. Even the ones who do see me everyday don’t truly GET it. And it’s not their fault. It’s not that I want them to feel the pain I feel. It’s just lonely. When is it time to give up on searching for a diagnosis? Maybe I am just crazy? Maybe it’s not worth it? But I can’t live like this either! I’m tired of no one believing me, or ignoring me. I do one good act every day, trying to get good karma. Just so maybe someday I’ll have a good day. Or good Luck. It never works. It’s not fair. I pray one good day. One day of relief. Or death. I can’t be this sad, pathetic, sick. I can’t keep trying to be a superhero, hiding my weakness. I don’t want to fail at this life. I can’t afford to fail. No one wants to hear about this side. It’s not inspirational, and I apologize. 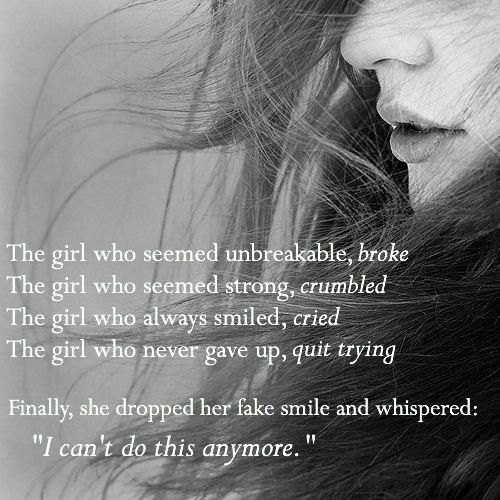 I want to be that girl, maybe I will be soon again.